Thank you for your interest in volunteering for the Friends of the Fruitville Library. 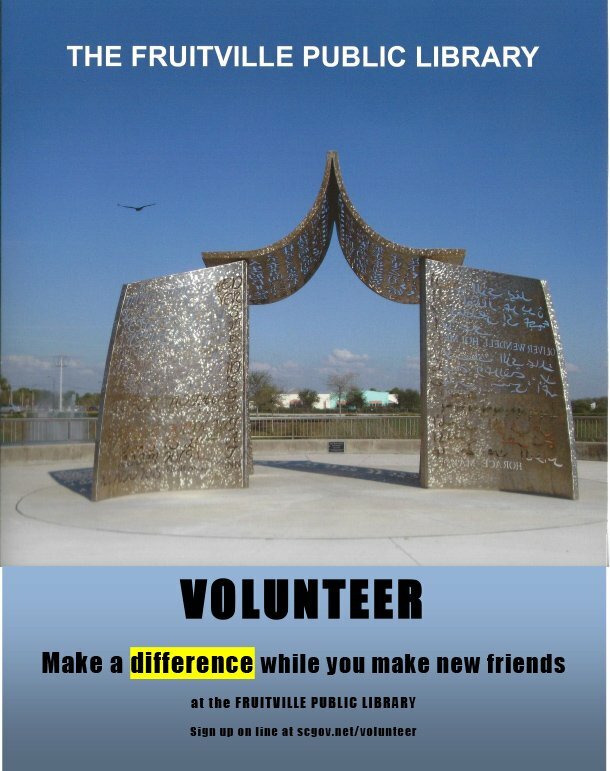 You can help make a difference in your community by joining our group of wonderful volunteers. Volunteering is a great way to make friends, stay active and help your Library. Do you have 3 hours to give as a volunteer for the Fruitville Public Library Bookstore? The Bookstore resells books and other media that have been generously donated. The Bookstore is entirely staffed by volunteers, who share their love of books and enjoy casual conversations while they assist patrons. They learn to sort, price, label, shelve and sell books. It’s all for a great cause:, all proceeds from the Bookstore benefit the Fruitville Library! Volunteering to serve on the Board of Directors or sub-committees can also be very rewarding. Volunteers are also needed to help with advocacy for the library, fundraising, membership activities and special projects and events. If these volunteer opportunities interest you, please contact us for more information.